Founded by Jon Dunn in 2013, Parallel Lines are the music and live events company behind some of the most exciting nights found in London. Playing host to essential artists, cult bands and cutting-edge acts on the cusp of breaking through to the mainstream, you are always guaranteed a good night with Parallel Lines. Dunn certainly has plenty of experience having made his way to the capital from Chelmsford during his twenty-year career which has seen him work for such major names as Live Nation and Festival Republic. Having curated for the likes of Latitude Festival, he has a keen eye for talent. 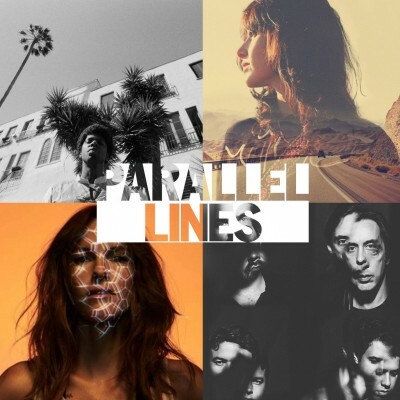 You can CLICK HERE to take a look at the many amazing shows Parallel Lines have scheduled in the coming months. Also, just scroll down to take a look at some of the very best gigs on sale with Gigantic right now. Experimental producer Kaitlyn Aurelia Smith continues to explore the peripheries of contemporary electronica with each new exhilarating release. Her latest LP ‘The Kid’ manages to bridge the gap between artificial instrumentation and an organic feel to produce something truly evocative. Kaitlyn Aurelia Smith tickets are currently available. Sub Pop stalwarts Wolf Parade have just released their fourth studio album ‘Cry Cry Cry’ through the essential indie label. Catch the Canadian quintet when they play a major headline show at O2 Forum to promote their new material. Wolf Parade tickets are currently available. Everybody needs a little soul in their life, and Curtis Harding has it in spades. Shooting to prominence after being featured as an ‘Artist You Need To Know’ by Rolling Stone Magazine, he has just released the awesome album ‘Face Your Fear’. Curtis Harding tickets are currently available. Howling Bells singer Juanita Stein takes the dark and seductive side of country in favour of her usual indie rock approach on her new solo album ‘America’. See the Sydney songwriter when she hits East London’s finest pub; The Shacklewell Arms. Juanita Stein tickets are currently available.